Dr. Montella is a member the American Dental Association, California Dental Association, Santa Barbara-Ventura County Dental Society, Illinois Dental Society, Chicago Dental Society, American College of Prosthodontists, American Academy of Fixed Prosthodontics, Academy of Osseointregration, American Dental Education Association, American Academy of Cosmetic Dentistry, Arcolian Dental Arts Society, and the Delta Sigma Delta Dental Fraternity. His goal is to help all of our patients look better, feel better, and live better. Dr Montella, is a great prosthodontist. His work and care for patients is in a league of its own. I have recommended patients to his care thousands of miles away. His attention to detail and compassion for patients is exceptional. 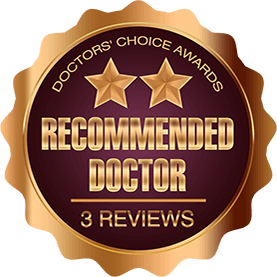 I trust his opinion and will continue to work with him for patients that want and expect outstanding cosmetic dental care. 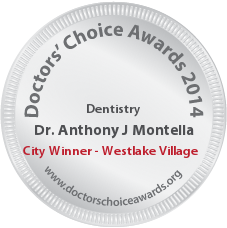 Dr. Montella is a “top notch” prosthodontist. His attention to detail, clinical execution and calm demeanor make him perfect for the practice of dentistry. 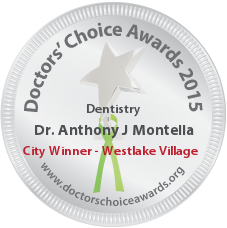 Dr. Montella is an asset to Ventura County. Tony and I served on the Dental Academy Board and it was always a pleasure to collaborate and share our knowledge. I think he is a great prosthodontist.